Darrell Humphrey is a seasoned Realtor having served the greater Treasure Valley area of Idaho for 11 years. Specializing in the residential market (existing homes, new construction and vacant land), Darrell prides himself on providing first-class service to both buyers and sellers. There are obviously a multitude of real estate agents for buyers and sellers to choose from, and without a doubt, there are a lot of good, hard-working ones. But as with any area of business, not all agents are “created equal.” Do your homework, interview, and partner with someone whom you feel comfortable with and who truly has YOUR best interests at heart. Work with an agent who is honest, personable, and who is willing to honor what is important to you. And find an agent who has, and utilizes, the support system and marketing tools necessary to get the job done successfully. Partnering with Darrell you will have the “complete package” at your disposal. Darrell is a skilled and successful marketer, communicator, and negotiator and his standards for doing business will insist that you be treated with total respect and complete honesty. With degrees in Accounting and Business Administration from Northwest Nazarene University, (along with many years of experience in marketing, customer relations, and real estate), Darrell has the tools and experience needed to effectively represent your real estate interests. He has lived in the Treasure Valley for 45+ years and thoroughly enjoys being actively involved with a variety of musical, sporting, and community events in the area. These involvements (e.g. Parade America, Kiwanis Club, Ambassador for the Nampa Chamber of Commerce, The Pix Theatre Foundation Board, and Northwest Nazarene University) along with professional associations benefit you by giving us a “warm market” working relationship with other professionals who will be key to assuring your real estate transaction goes quickly and smoothly. 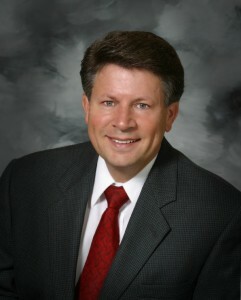 Darrell has also served on the Executive Board of the Nampa Association of Realtors. Darrell is blessed with a lovely wife (of 19 years) and three precious children. His other interests and passions include family time, music (singing), tennis, golf, softball, and travel. Church involvements include music, drama, outreach ministries, and co-teaching a 3-year-old Sunday School class with his wife.